Thanks to this image posted by Ashish Prabhu on Evo India's Twitter account, we can confirm that the revamped Tata Sumo Grande will indeed be known as the Tata Movus (Move-Us). 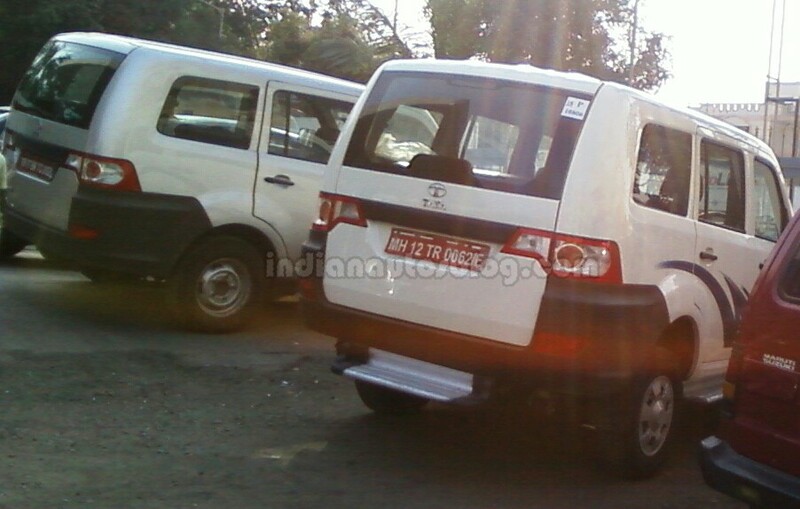 Tata Movus LX variant spotted testing. From a design perspective, the Movus will look identical to the Sumo Grande. Tata will pitch the rebranded MUV to taxi or fleet operators, and as a rival to the likes of the Chevrolet Tavera and the Mahindra Xylo. The Movus, that will launch in 7-, 8- and 9-seater variants, is reported to use the same engine which powers the Safari Storme. This 2.2-liter four-cylinder VariCOR engine produces 140 PS of power and 320 Nm of torque in the Storme and comes mated to a 5-speed manual transmission. The Movus achieves a higher ARAI-certified fuel efficiency of 15.2 kmpl (up from the current 13.55 kmpl) thanks to this powertrain. 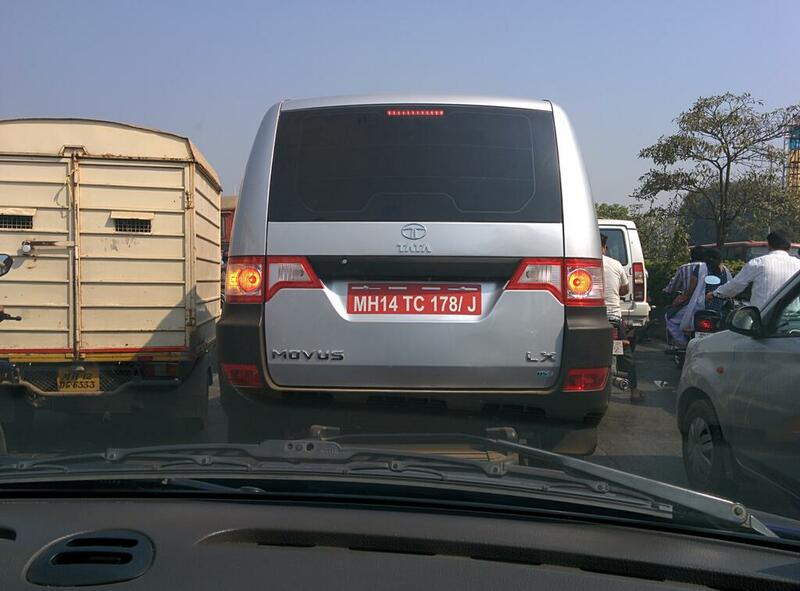 Image of the Tata Movus snapped by an IAB reader. Improvements on the Movus include thicker brake linings, redesigned body mounts for better NVH, cable type door latch, new clutch with reduced operating effort, longer lasting fuel filter, timing belt with extra durability and a tweaked rack and pinion steering system. The Movus will most likely be announced at the Auto Expo this week. Stay tuned to Indian Autos Blog for further updates.